For those that travel with their animals and have vehicle temperature control and monitoring systems. The size is approx. 14"w x 3"h, ONE (1) decal will be provided for the selling price which includes FREE shipping. Made of permanent adhesive backed sign vinyl that is flexible, durable, resistant to sunlight, and has a rated outdoor durability of 5 years. 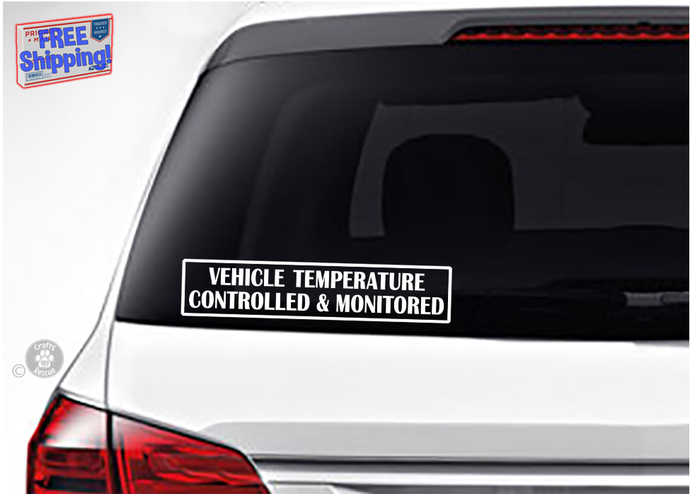 NOTE: This listing is for one (1), white, exterior grade vinyl decal ("vehicle temperature controlled & monitored" text in all caps).